While on a tidal pool adventure at Pillar Point, California, I came across this brightly colored marine invertebrate. Though it is small, only growing to about 2 inches, it is one of the prettiest and most colorful of the sea slugs. 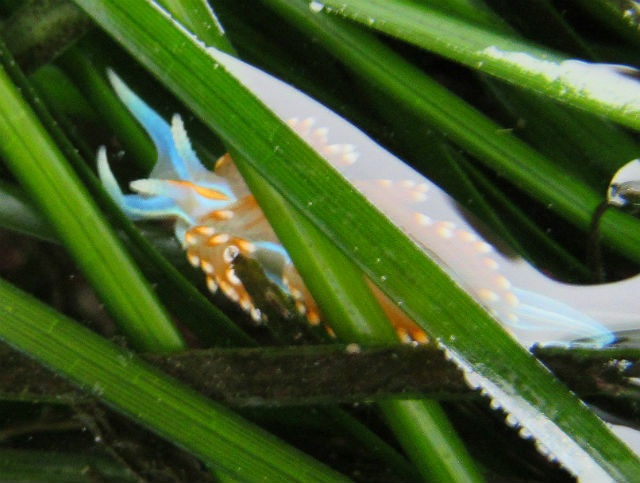 The Opalescent Nudibranch feeds mainly on hydra-like marine organisms such as sea anemones. It sometimes attacks other sea slugs and will eat smaller specimens of its own species. 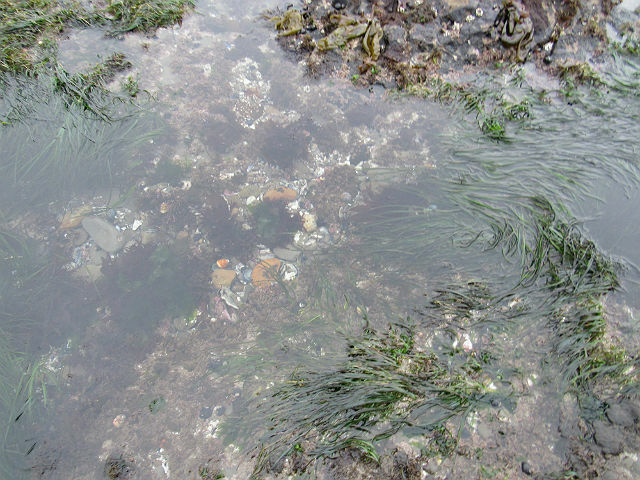 It can be found around tidepools, as well as on rocks, pier pilings and mudflats. It can also be found from low-tide line water to water up to 100 feet deep. Not only is it beautiful, but this creature is also a model organism and used in studies into classical conditioning, memory consolidation and associative learning, the structure of neural circuits and neural physiology. In addition, it is widely used in studies of ecology, pharmacology and toxicology. 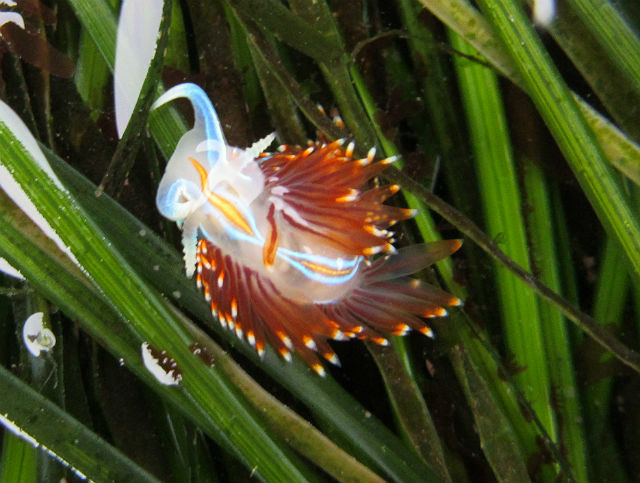 This entry was posted in Molluscs and tagged Opalescent Nudibranch by tspuckler. Bookmark the permalink.